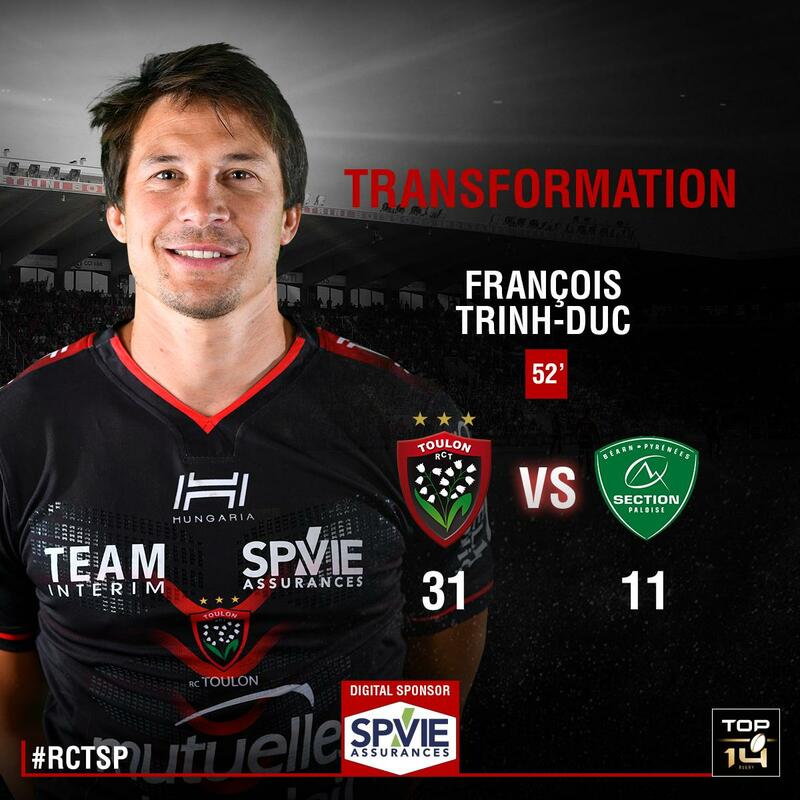 Francois Trinh-Duc adds the two points for Toulon. 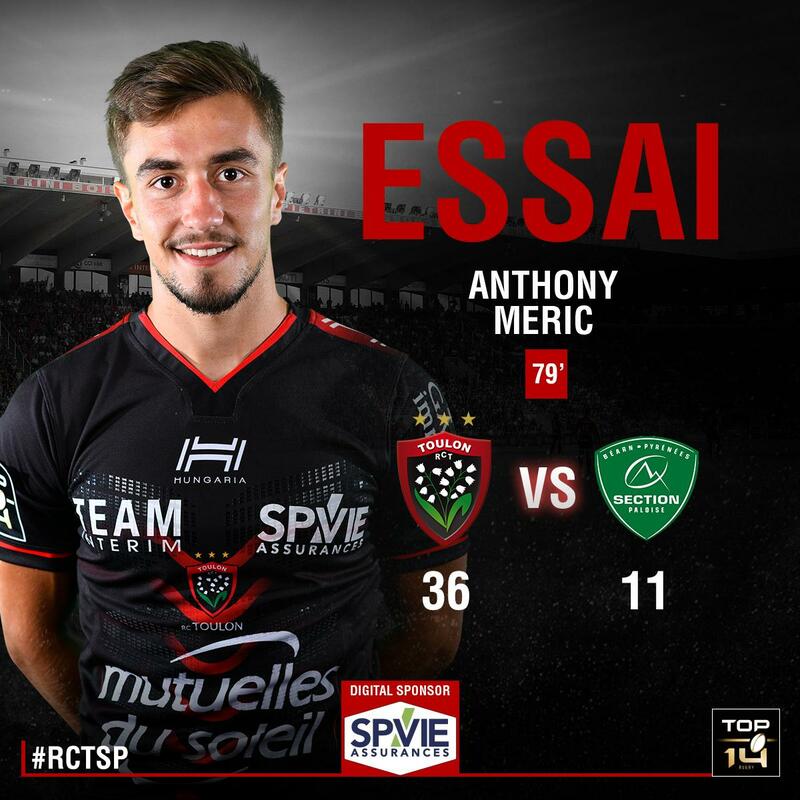 Anthony Meric scores a try for Toulon. Toulon decide to make a substitution, with Mamuka Gorgodze getting some game time. 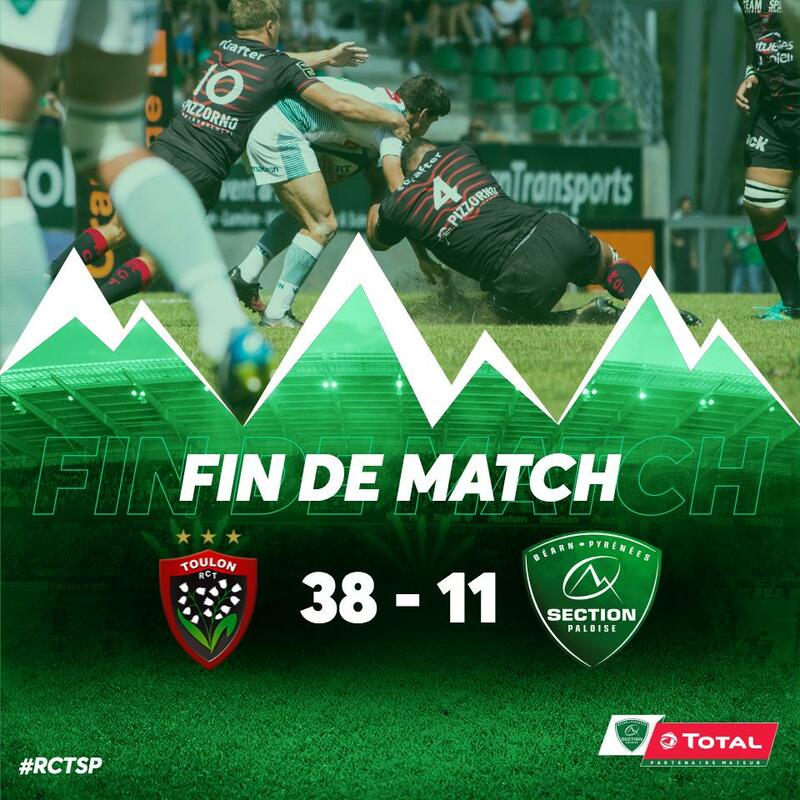 Toulon decide to make a substitution, with Romain Taofifenua being replaced. Toulon make a substitution with Malakai Fekitoa coming on. Toulon make a substitution with Darly Domvo coming off. 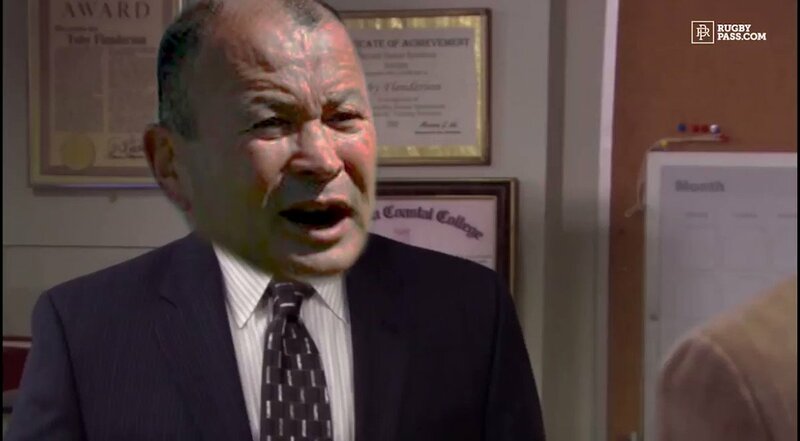 Toulon sub Jean Monribot comes onto the field. Liam Messam departs for Toulon. Bastien Soury comes on for Toulon. Anthony Etrillard leaves the field. Paddy Butler (Pau) is shown a yellow card. Pau decide to make a substitution, with Florian Nicot getting some game time. Pau decide to make a substitution, with Jale Vatubua being replaced. Pau make a substitution with Clovis Lebail coming on. Pau make a substitution with Thibault Daubagna coming off. Toulon sub Anthony Meric comes onto the field. Rhys Webb departs for Toulon. Bruce Devaux comes on for Toulon. Emerick Setiano leaves the field. Francois Trinh-Duc does the business as his conversion attempt goes over. 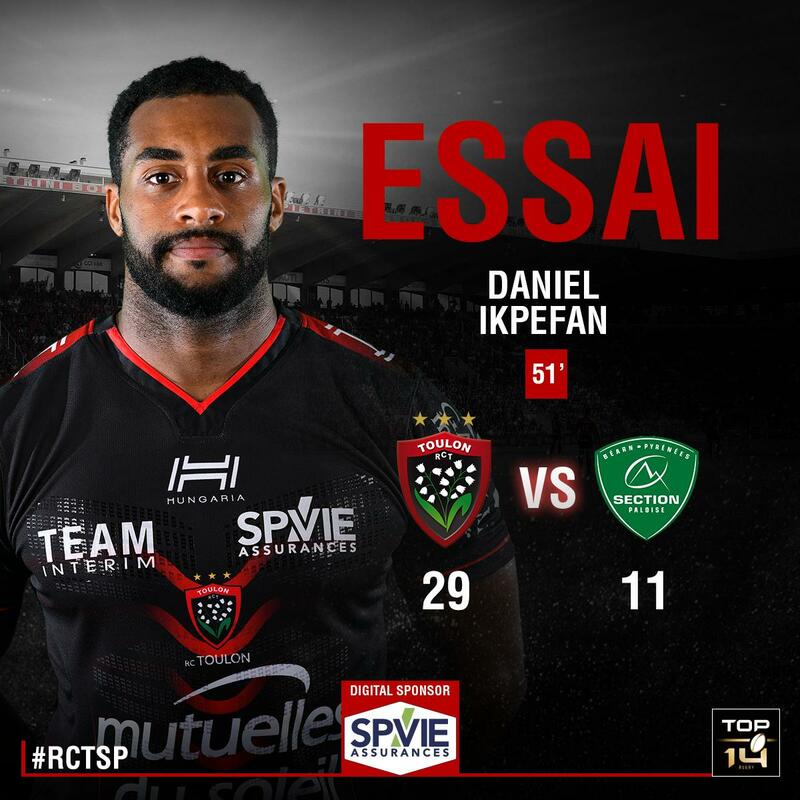 Daniel Ikpefan scores a try for Toulon. Toulon make a substitution with Brian Alainu'uese coming on. 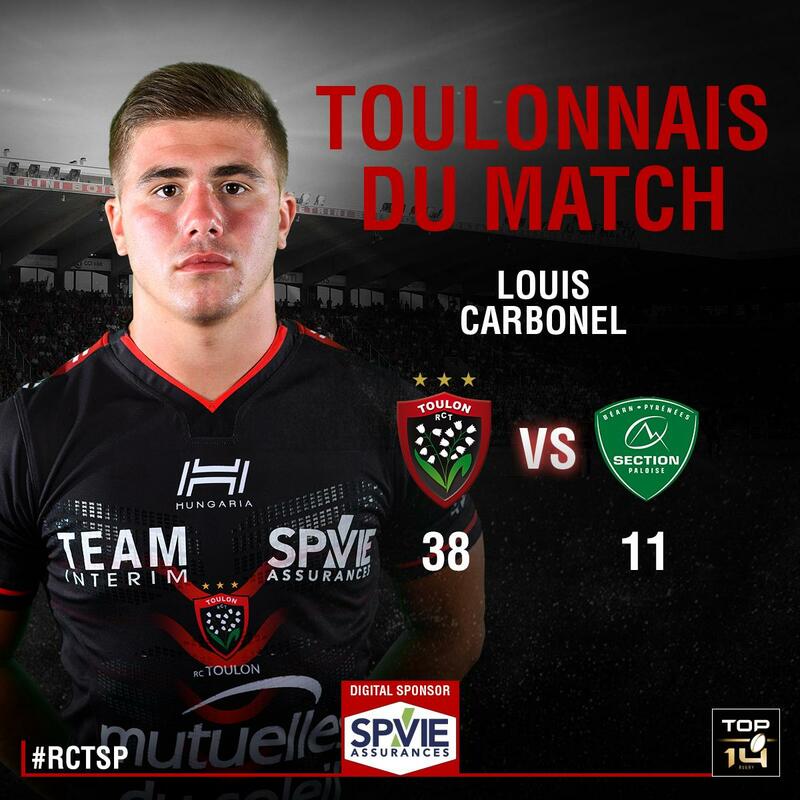 Toulon make a substitution with Corentin Vernet coming off. Francois Trinh-Duc makes no mistake with that penalty goal attempt. Antoine Hastoy kicks the penalty. Francois Trinh-Duc makes no mistake with that conversion attempt. Josua Tuisova scores a try for Toulon. Pau sub Dan Malafosse comes onto the field. Fabrice Metz departs for Pau. Marvin Lestremau comes on for Pau. Florian Nicot leaves the field. Antoine Hastoy has kicked a penalty goal. Conversion attempt from Antoine Hastoy has the distance but not the direction. Quentin Lespiaucq scores a try for Pau. Francois Trinh-Duc converts the try. 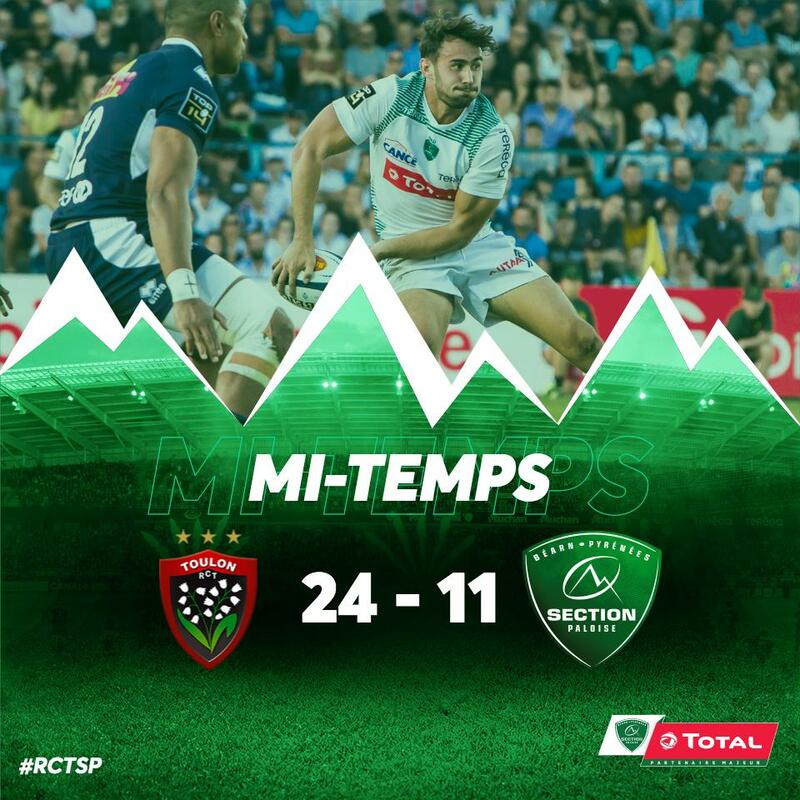 Facundo Isa scores a try for Toulon. 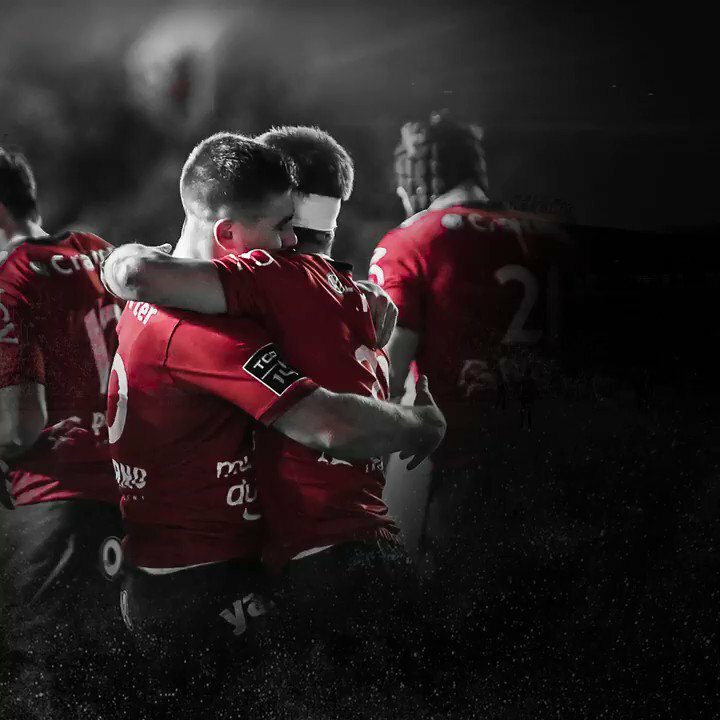 Rhys Webb scores a try for Toulon. Jale Vatubua (Pau) is shown a yellow card. @Yeomans007 @alexshawsport All good things to those who wait! The RugbyPass Index called it.